Sara Levine was one of the authors present at last week’s Wordstock Literary Festival in Portland. After I heard her read from her debut novel Treasure Island!!! I quickly decided to buy a copy. This book is a quick, fun read and I stayed up way past my bedtime last night to finish it. Central to the book is the unnamed narrator, a 25-year-old recent college graduate. By day she works at a Pet Library, where people who can’t commit as full-time pet owners go to check out an animal for a few days. Life isn’t all that exciting for her, but after reading Robert Louis Stevenson’s classic adventure book, Treasure Island, she believes the book is “cosmically intended” for her. She resolves to live by the book’s core values: Boldness, Resolution, Independence and Horn-Blowing. To further her obsession, she develops 100 notecards with quotes from the book and their applications to her life, and splurges on an $800 Amazonian parrot named Little Richard — with money that she “borrowed” from petty cash at the pet library. As the book progresses, it becomes increasingly twisted, and the narrator reveals evermore narcissistic and socio-pathic tendencies. All the while, she believes that she’s living according to the credo “What would Jim Hawkins (the protagonist of Treasure Island) do?” while ultimately she is far from it. The main character is so idiotic and ridiculous, as are her antics and interpretations, that I found myself laughing out loud many times. I enjoyed this book mostly because it is the antithesis of chick-lit. It won’t appeal to everyone, and in fact it has garnered some rather mixed reviews on Goodreads. But if you enjoy your books a bit off-kilter, you might enjoy this book. Interestingly, the book was edited by one of my favorite contemporary authors, Alice Sebold. While Sebold definitely does not write in a humorous style, Levine matches her level of dark fiction. 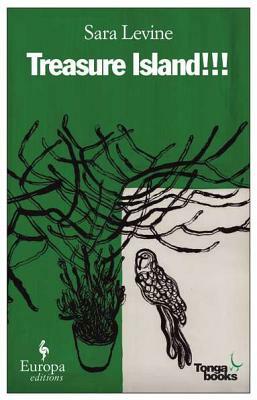 Fans of Sebold should give Treasure Island!!! a read. 1 Response to Treasure Island!!! I’m definitely picking this one up after this review!